A “Sweet Sailing” theme is just the thing at a beach-side wedding reception for a couple in love with the sea. Taking center stage is a charming candy table set up like a fun day at the beach—jaunty straw hat and all! Awash in the varied blues and sandy tones of the seaside it overflows with sweet treats presented in seashell trays, glass vases, even playful pails. What a clever, appealing, and scrumptious way to engage one’s guests, while saving on the expense of elaborate floral decorations or a grand wedding or bridal shower cake. And believe it or not, the entire display is as fun—and easy—to make as it looks. 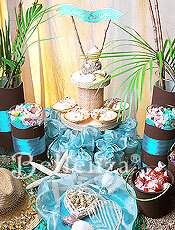 Decorate a candy table with beach-inspired elements that take guests on a sweet journey! Look for palm leaves, bamboo or reed sticks, chocolate brown acrylic paint, candy scoops, or toy beach shovels, heart-shaped sinamay favor boxes – approx. 10-12, aqua-colored organza wraps – approx. 10-12, seashell trays – approx. 6, straw hat, assortment of seashells and starfishes, pebbles, green raffia, and ring pillow (optional). 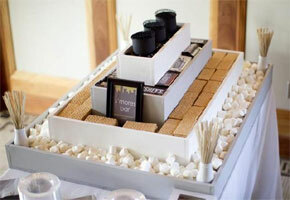 Obtain an assortment of candies, chocolates, and cookies that suit the color and mood of the beach theme. Use scissors, glue, aqua-colored card stock, gold marker pen, tealight-size glass bowl, sand, assortment of small twigs, brown craft paper, and satin ribbon (aqua and olive green). Step 1: Prepare a nautical banner – To welcome party guests “aboard,” cut the aqua-colored card stock in the form of a windblown banner—a la Love Boat. Write out the party’s theme with a gold marker, and then trace a gold border around the sign. Attach this mini banner with glue to two twigs, and stand these upright in the tealight-size glass bowl filled with sand. Use a pretty seashell to make sure it stays in place. Step 2: Assemble the tiered stand – Now for some construction skills. Take the styrofoam cylinders, round boxes, or canisters and cover them with sinamay or any natural-fiber cloth. Cut a circular “platform” from 1″ thick Styrofoam board, and cover the sides with sinamay and the top with handmade paper. Stack the cylinders with the largest as the base. Glue the tiers together, place the platform at the very top, and position the finished centerpiece stand on the display table. Creative hint: In place of sinamay cloth, natural twine can be glued around each tier to mimic the coils of rope aboard ship! Step 3: Dress up the cylindrical glass vases – Ready to start decorating? Wrap the glass vases in brown craft paper and attach bands of aqua-colored satin ribbon around each one, securing the ribbon with glue. Position the decorated vases on either side of the tiered display stand, with palm leaves and bamboo or reed sticks in the taller ones. Top the smaller ones with a layer of colorfully-wrapped taffy candies—just waiting to be eaten. An alternative: Although cylindrical vases are easiest to work with, any shape or size of vase or jar will do. Just be creative in applying the aqua-and-sand color scheme to them. Step 4: Decorate the beach pails – Remember collecting shells in plastic beach pails as a child? Well, this time the pails will hold sweets! Paint the plastic pails (inside and out) with chocolate brown acrylic paint, and wrap their handles in olive green satin ribbon. Set these to one side of the display stand, and fill them to overflowing with candies and chocolates in gold foil and other colorful wrappers for a playful, yummy look. Have the candy scoops on hand for guests to help themselves to the goodies. Step 5: Prepare favors wrapped in organza – Fill the heart-shaped favor boxes with an assortment of tempting treats. Wrap each one in a 17″ aqua organza circle, then position them surrounding the base of the tiered display stand. Their lovely aqua color adds to the table decor—almost like waves gently lapping at a dock—before the favors are taken home by guests. Thoughtful touch: If unwrapped candies are chosen, make the thoughtful gesture of lining the trays with a circle of wax paper or placing each sweet in a fluted paper liner. 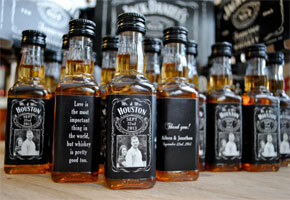 Step 8: Provide a wedding-related finishing touch – Oh yes, this is a wedding reception after all! Remind guests with an item from the ceremony, like a seaside ring pillow in the shape of a seashell trimmed with lace and tiny pearls. This artful presentation brings together the entire theme beautifully. The finished candy table is irresistibly appealing—playfully presenting a tempting array of treats amidst the colors and details of a fun day at the beach. Here’s wishing the couple “Sweet Sailing”! Next Ready, Set, Wrap! Dress Up Your Centerpieces in Fabric! For my sister’s bridal shower, we are doing an all-pink candy bar! This gives me a great starting point for setting up the table with a theme that is inspired by her favorite pattern – polka dots. When presenting a candy buffet table, try using a variety of different jars and containers. 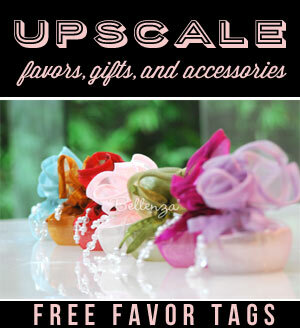 For example, apothecary jars, hurricane glass containers, and cake stands are wonderful to use! I luv this idea especially since it focuses on the use of edible decorations. This is also a great idea using candies and ice cream that aren’t so expensive. Try marshmallows (of large sizes), peppermint candies, and pink jelly beans. Then present them with a generous serving of ice cream housed in iced glasses. Vanilla and strawberry is suggested. You will see that this color comb of reds, pinks, and whites is so lovley. I saw this at a wedding in the winter season here in Ottawa.